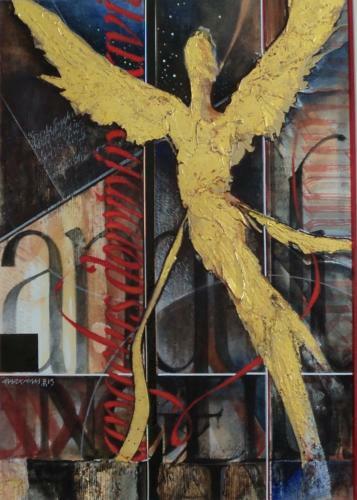 An interpretation of the poem Ode in Grey by the New Zealand poet Charles Brasch. 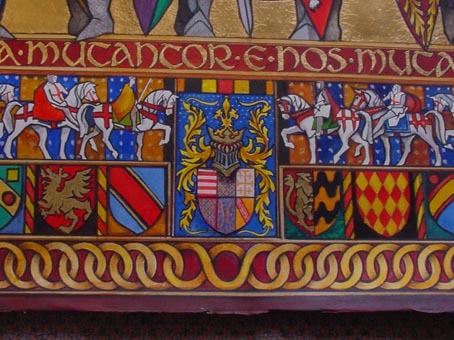 I have always been interested in the colours and textures of Medieval Art and find working with goldleaf in particular very rewarding. 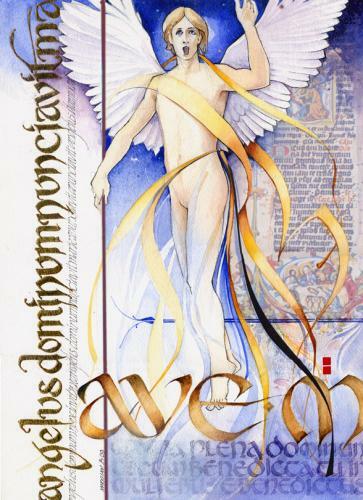 A work combining the soft qualities and subtlety of watercolour with the richness of pure gold. 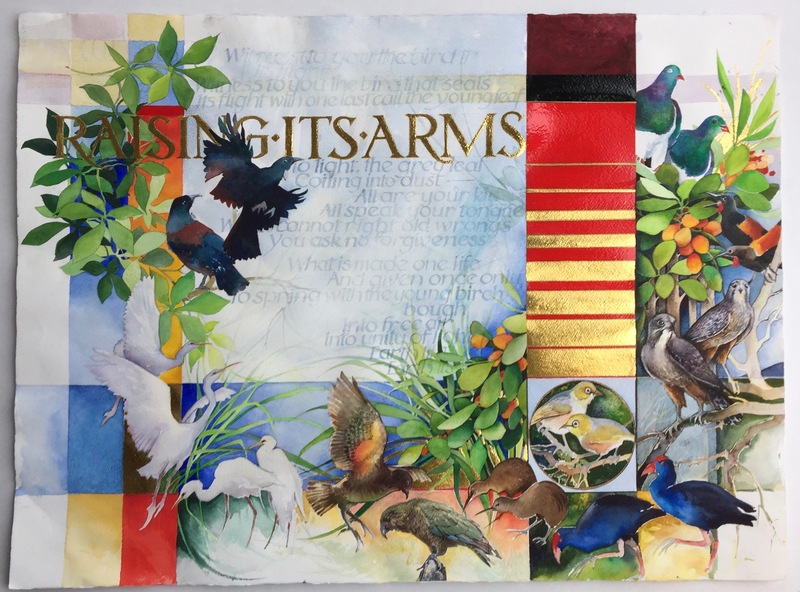 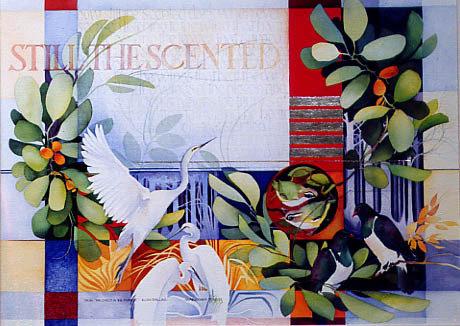 The words are from a poem by NZ author Ruth Dallas and the imagery is drawn from the flora and fauna of NZ. 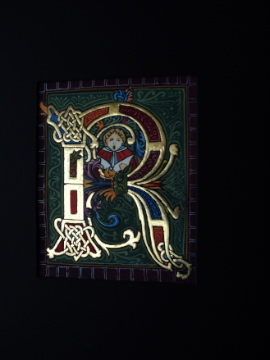 This illuminated letter 'R' is made in burnished 24ct goldleaf. 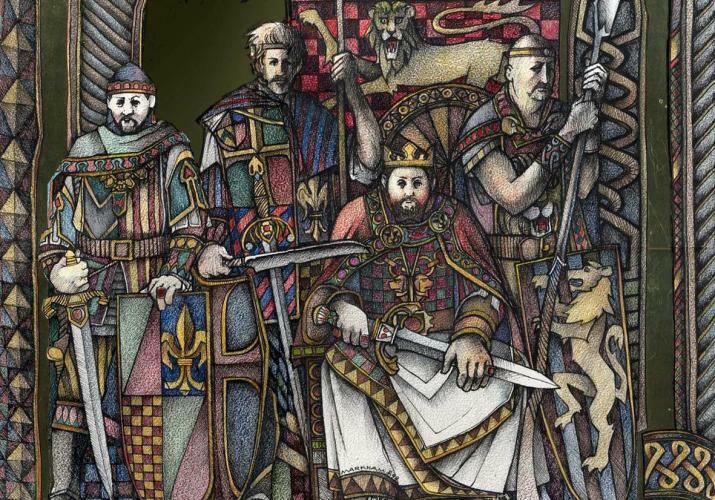 A study for the "Camelot" series. 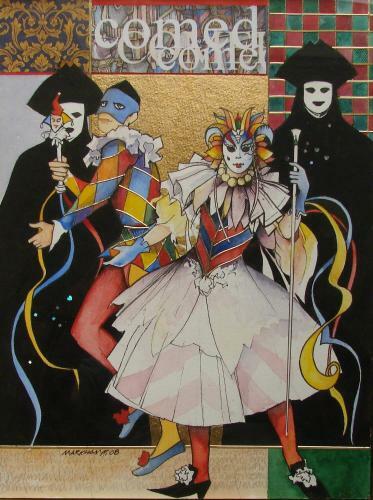 One of a series using the characters of the 'Comedia del Arte' Harlequin and Colombine. 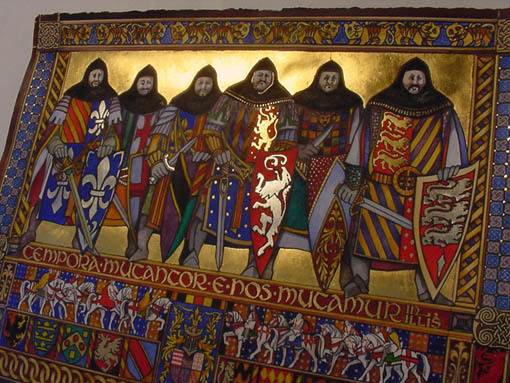 Stylised knights on a silverleaf background. 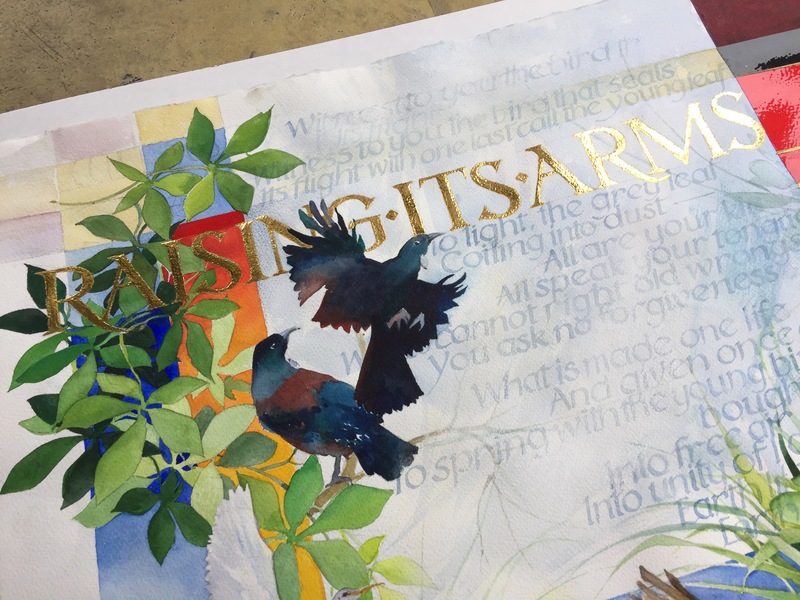 This piece of calligraphy is base on the lyrics of The Raft from the original album by Fat Freddy's Drop 'Dr Boondigga and the Big BW' and is used with their kind permission. 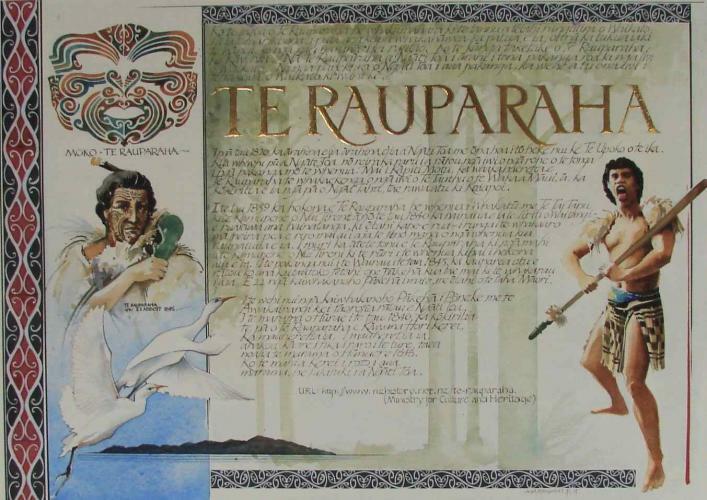 A calligraphy piece summarising the life of the Maori chief Te Rauparaha. 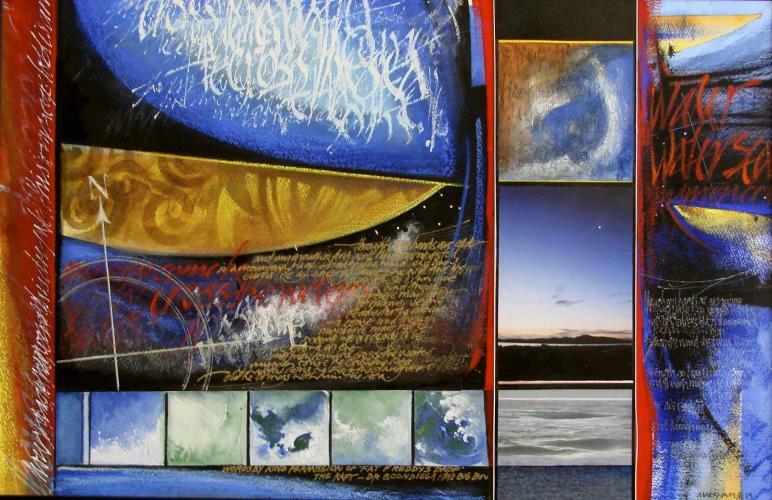 it is written in Te Reo (the Maori Language).